After the implementation of Real Estate (Regulation and Development) Act, 2016 now people have some door to knock where they can put their grievances and disposal is here so quick that no person need to wait for the years for the justice. Since the implementation there has been some confusion about the registration of conveyance deed in favour of the allottee along with the undivided proportionate title in the common areas to the association of allottees. Clarification in respect of the execution of conveyance deed of the undivided proportionate title in the common areas in favour of the allottee. The question was also raised by the complainants that whether the LLP under the LLP Act, 2008, Company under the Section 8 of Companies Act 2013 or the Society registered under the Society Registration Act, 1860 can be formed in place of Association of Allottees under the Gujarat Co-operative Societies Act,1961. GUJRERA directed that the promoter should convey proportionate undivided share in the common area in favour of the allottee who is paying full for these facilities and simultaneously handover the physical possession of the proportionate undivided portion in common area to the association of the allottees. 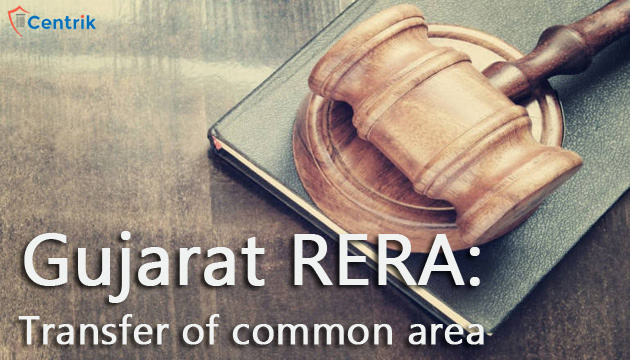 As per the requirement of Section 17 of the RERA Act, 2017, the association of allottees should be as per Gujarat Co-operative Societies Act, 1961 which clearly says that societies with the similar object as are in RERA Act requires to be compulsorily formed and registered; and association of allottees could not be formed by way of Company, LLP, or Society but has to be under the Gujarat Co-Operative Society Act, 1961. At last, it can be inferred that RERA the Authorities are not just implementing the provisions of the Act but before giving any decision or direction they do profound study of the provisions to fetch the justice to the home-buyers.